The third most powerful economy in the world, Japan, an island country in Eastern Asia, is very developed, with a high standard of living and a hope for long life. In addition, it looks like a good pupil, in regards to Children’s Rights. However, despite this idyllic image, the archipelago is still confronted with some problems. More than 15% of Japanese today live in destitution. A shocking figure since Japan has been considered as an egalitarian country for a long time. The situation is even more worrisome in single-parent families, notably for single mothers who often find themselves constrained in holding many jobs at once. Furthermore, the increase in the number of poor children that are benefiting from school scholarships is an indicator of the expansion of profound poverty. From then on, these children live with great insecurity and access to their primary rights become quickly compromised. The case of child abuse is reaching a new record level in Japan. In ten years, the statistics have increased exponentially. In 1990, there were 1,000 cases of abuse (physical and sexual) compared to 55,000 cases in 2010. Often neglected, shut in, malnourished, or still battered, these children are the sign of a Japanese child protection system on the verge of collapse. To remedy this, there exists a real need to train and sensitize the Japanese families. A strong discrimination exists in Japan concerning children’s rights. This discrimination can take two forms: racial or gender. Gender discrimination: it’s considered that girls should be good housewives and that boys should have prestigious professions. 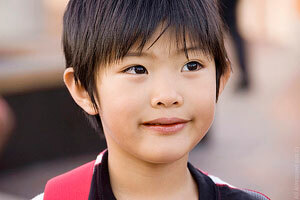 Racial discrimination: children born to non-Japanese parents regularly suffer discrimination. In effect, other children are cautious to accept them and they are the subject of mockery. Facing this, teachers and parents hardly attempt to make children aware of the problems of racism. They are yet to teach the children to respect one another and accept differences. In Japan, the university system is very elite. From nursery school, children work very hard until their entry into universities. Besides, numerous nursery schools even recruit competitively. Quite obviously, the consequences on the children are terrible. Indeed, under the constant stress of “duty of excellence,” some see suicide as their only means of escape. Unfortunately, Japan lists numerous cases of student suicides of those who cannot bear the pressures of school. Japan is a popular destination for trafficking young female adolescents from Asia, Latin America, as well as Eastern Europe. They are made to believe that once in Japan, they could have a good job but the reality is completely different. Indeed, they are obligated very quickly to prostitute themselves. These victims are not protected and are often even considered to be “criminals” having violated the immigration laws. They end up being deported back to their own country without any psychological or material help. For some years, Japan has been working on this problematic treatment of young girls, but there is still much help that needs to be provided. 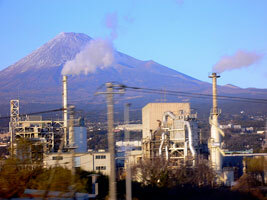 With 4.9 tons of emission of CO2 per habitant per year, Japan’s situation in terms of pollution, could be improved. This last point has a harmful impact on the lives of children and their perspectives of the future. Their right to live and grow up in a healthy environment is not respected. Therefore, Japan has to make some progress in reducing its ecological footprint (necessary surface for a person or a group to produce what they consume and absorb what they waste).